Surround yourself with 2.6 acres of endless beauty, stunning ocean views, & unsurpassed privacy. This magnificent home was meticulously built and has never been offered before on the market. The home is over 2,600 square feet, with 3-bedroooms, 2.5-bathrooms, two spacious covered lanaiÃ¢Â€Â™s, PLUS a bonus detached office/workshop/garage that's over 1,000 square feet complete with a bathroom. All are extremely well constructed & immaculately maintained. This dream home is even off the grid, with a 26-panel private photovoltaic system, solar hot water, water catchment, & septic system. The house offers tremendous flow & design with a keen attention to detail, inside & out. YouÃ¢Â€Â™ll be captivated by ocean, mountain, & pasture views from every room. A masterful chefÃ¢Â€Â™s kitchen, presents with custom mahogany cabinets, granite countertops, professional appliances, prep sink, & island. The seamless flow of the kitchen, dining area, & family room create the perfect environment for entertaining. The dining area is equipped with a full wet bar & the family room offers a fireplace with a view of the rear flower gardens & soothing rock waterfall. There are two master bedroom suites, one on the entry level, & one upstairs with its own covered lanai, expansive walk-in closet, fireplace, library, & exquisite master dual vanity bathroom complete with an air-jetted tub. Enjoy the views, land, & solitude this property providesÃ¢Â€Â“ this home & location are a treasure and only 5 minutes above Makawao Town. 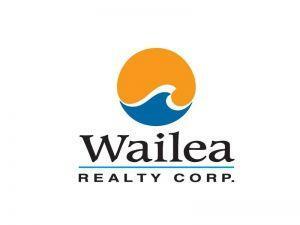 I am interested in 330 Waiahiwi Rd, Makawao, HI 96768 (Listing ID # 380243).